Note: This article is the beginning of a series of articles walking through the early history of Orthodoxy in the United States. Not the EARLIEST history (Philip Ludwell III and his circle) — that’s the territory of Nicholas Chapman and his associates (see www.ludwell.org to learn all about that). And not Alaskan Orthodoxy — lots of people do fantastic work on that area (particularly Fr. Michael Oleksa). No, the story we’re starting to tell here begins in the middle of the 19th century, at a time when organized Orthodoxy did not exist in the United States of America (and when Alaska was still part of the Russian Empire). I’m sure I will publish articles about other time periods in American Orthodox history as well, but in the coming months, I plan be as disciplined as I can to walk through our early history in a fairly methodical way. So, this is the beginning. On January 2, 1865, a 32-year-old man going by the name “Fr. Agapius Honcharenko” arrived by ship in New York City. He claimed to be an Orthodox priest, coming from Greece and affiliated with the Ecumenical Patriarchate, but originally hailing from the Russian Empire, from what is now Ukraine. Four days later, he served the Divine Liturgy on Christmas Day – Christmas according to the Julian Calendar, which, back then, was the only calendar used in the Orthodox Church. It seems that a handful of Greeks and Slavs in New York attended, but this first liturgy in the United States went unnoticed by the wider world. Dix was one of those high church Episcopalians who really liked Orthodoxy and hoped for an eventual union between the Orthodox Church and the Church of England. It seems that Honcharenko took Dix up on his offer of a room, and he appears to have held regular services over the coming weeks, attended by a small group of Greeks and Slavs. He baptized several children and seemed to be settling in as a mission priest for the Orthodox of New York. It was surely Rev. Dix who arranged for what happened next – the first public Orthodox liturgy to be celebrated on U.S. soil. The Times actually reprinted several sections of the liturgy itself. The Protestants present were especially struck by the absence of the filioque from the Creed. The music, sung by a small group of Episcopalians, was provided by Dr. Young – probably the same Young who introduced Dix to Honcharenko. Young was a member of the Russo-Greek Committee of the Episcopal Church – the group charged with fostering relations with the Orthodox Churches. He had brought texts and music back from a visit to Russia, and he put the Slavic words into English phonetics for the occasion. Even before that March 2 liturgy, word had begun to spread about Honcharenko – and not all of the news was good. There was a reason Honcharenko, a subject of the Russian Tsar, was not serving under the Russian Church. He had a past. Letter from Agapius Honcharenko to the editor of a newspaper called the Orthodox Overview. The letter is undated, but was referenced by and attached to a letter from St. Philaret, Metropolitan of Moscow, to the Ober-Procurator of the Holy Synod of the Russian Orthodox Church, which is dated February 26, 1865. 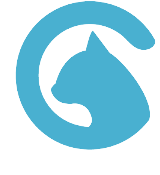 (February 26 was likely the Julian Calendar date; according to the Gregorian Calendar, it would have been March 10.) These documents were found by Nicholas Chapman in the National Archives in London, UK, in 2010, and were translated from Russian into English by Matushka Marie Meyendorff and published at OrthodoxHistory.org on August 31, 2010 (https://orthodoxhistory.org/2010/08/31/st-philaret-of-moscow-on-orthodoxy-in-america-in-1865/) and September 7, 2010 (https://orthodoxhistory.org/2010/09/07/agapius-honcharenko-in-defense-of-himself/). Nicholas Chapman’s introduction to the documents was published at OrthodoxHistory.org on August 24, 2010 (https://orthodoxhistory.org/2010/08/24/the-russian-orthodox-church-in-america-and-its-clergy-1865/). January 18, 1865 diary entry by Rev. 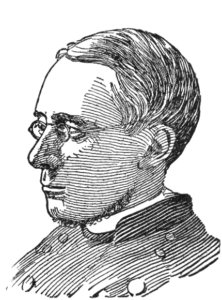 Dr. Morgan Dix, courtesy of Gwynedd Cannan, archivist of Trinity Church in New York City. The rest of the story of Trinity Chapel is fascinating: It was built in the 1850s, and despite being called a “chapel,” it had a considerable congregation. By the 1940s, though, demographics had changed, and church leaders decided to sell the building. 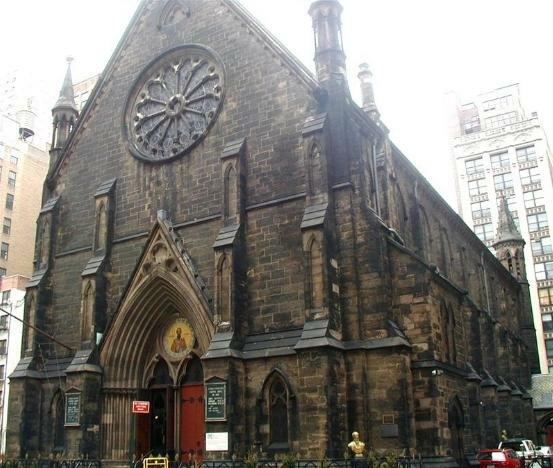 New York City’s first full-blown Serbian parish had begun in the late 1930s, and as soon as they heard that the chapel was on the market, they were interested. With help from St. Nicholai Velimirovich, Serbs from across the country, and the Episcopalians themselves, the modest Serbian parish was able to purchase Trinity Chapel in 1942 and transform it into St. Sava Cathedral. Sadly, on Pascha in 2016, the cathedral was destroyed by fire. New York Times, March 3, 1865, page 8. March 2, 1865 diary entry by Rev. Dr. Morgan Dix, courtesy of Gwynedd Cannan, archivist of Trinity Church in New York City. Evangelical Christendom, April 1, 1865, page 190. Next : Who was “Agapius Honcharenko”? I always enjoy these articles. Thank you for posting them.